Middle Georgia State University (MGA) is adding a Bachelor of Science in Political Science, as well as minors in business and sociology, to its academic offerings this fall. The Bachelor of Science in Political Science will be based on MGA's Cochran Campus, where the University continues to expand four-year degree options. The Department of History and Political Science designed the degree to uniquely combine skills traditionally associated with STEM programs, such as applied statistics and data analysis, with courses traditionally offered within the discipline. The Board of Regents of the University System of Georgia approved the degree at its May meeting. "We’re excited to give students interested in politics and government an opportunity to complete a four-year degree close to home at one of the most affordable universities in the state," said Dr. Christopher Lawrence, assistant chair of the Department of History and Political Science, who led the program's development. "Given the many career pathways available for students who major in political science, we created a flexible curriculum, drawing on the strengths of our expert faculty, that allows them to tailor their coursework to their specific workforce goals." The degree includes upper-level courses - generally those taken in the junior and senior years - in research methods, public opinion, international relations, environmental politics, American constitutional law, parties and elections, urban politics, interest groups, Southern politics, the presidency, the American Congress, and others. The program will appeal to students interested in law school or other advanced study and/or work related to domestic issues, international affairs, government and non-profit sectors. Students pursuing the degree will be required to take part in experiential learning. They will also have opportunities to study abroad or complement their major with a certificate or minor in another field of study, such as professional writing, Spanish, or web design. MGA's two new minors create additional ways students can enhance their major areas of study. The minor in business, consisting of 15 credit hours, is geared toward students majoring in any discipline who plan to work in a business/corporate environment or start their own enterprises. The required courses include accounting, economics, management, marketing, and more. MGA's minor in sociology, made up of 15 credit hours, is designed to provide students a greater understanding of how social institutions influence individuals. A sociology minor complements many other areas of study, including business, communications, education, health services, and political science. Required courses include research methods, gerontology, social stratification, aging and social policy, community/urban sociology, and others. For MGA admissions information, mga.edu/admissions or email admissions@mga.edu. For general information about the Bachelor of Science in Political Science, email Dr. Christopher Lawrence at christopher.lawrence@mga.edu. For general information about the business minor, email Dr. Kenny Holt at kenny.holt@mga.edu or call 478.471.2724 . For general information about the sociology minor, email Dr. Rebecca Nees at rebecca.nees@mga.edu. Middle Georgia State (MGA) is a regionally focused university serving 7,400 traditional and adult students, the majority of whom live and work in the heart of the state. The University is one of the state’s best values in public higher education; a student can earn a bachelor’s degree at MGA for about $20,000. MGA offers graduate and undergraduate programs leading to in-demand careers in IT, nursing, education, aviation, business, new media and more. Middle Georgia State’s five campuses - Macon, Cochran, Dublin, Eastman and Warner Robins - are strategically located with broad reach, plus the University has numerous online and hybrid learning opportunities. MGA is the only University System of Georgia institution with a School of Aviation. 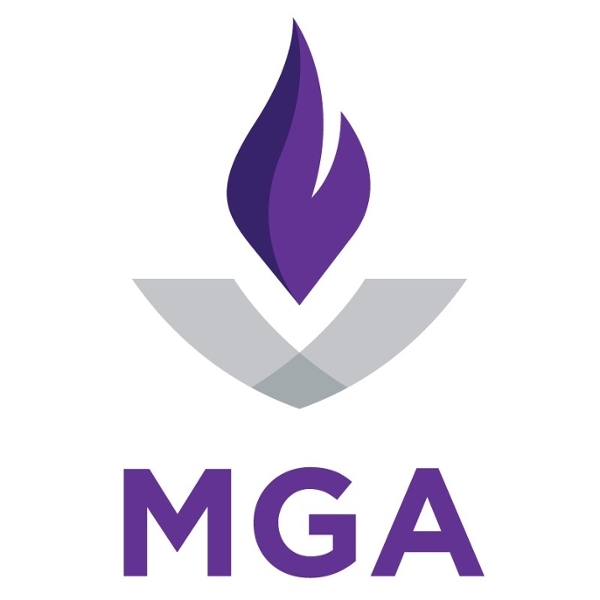 www.mga.edu.